Earnest Instruments, in collaboration with several artists, is pleased to introduce the “American Standards” series, a limited edition of one-of-a-kind painted ukuleles commemorating the golden age of American popular music. 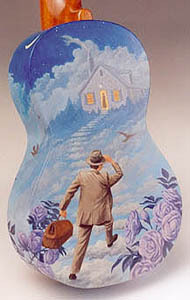 The paintings attempt to illustrate both the lyrics of the songs as well as the spirit of the times in which they were popular. Customers can request special songs for the series, or choose from a list of suggested titles. 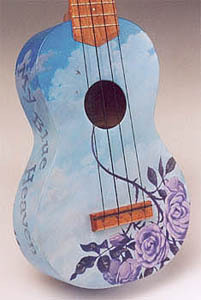 No two ukes will be alike and prices will vary depending on the size and style of uke, and the requirements of the painting.